The final frontier awaits, and we must go. Every species has a special trait, an evolutionary advantage that allows them to survive and thrive…to keep ahead of the predators and on top of the prey. Our special trait should really come as no great surprise: It’s the human brain. More specifically, it is our ability to explore and discover, to seek out new information and then communicate what we learn to others of our kind who can build upon (and improve) it. Part of this journey involves exploring the unknown, in venturing beyond our comfort zone and into the unknown. Yet, Eugene Cernan was last man to walk on the Moon…and that was over 40 years ago. Ultimately, there are few who understand the importance of knowledge and exploration—of boldly going where we’ve never gone—better than Cernan. As he famously stated, “Lunar exploration was not the equivalent of an American pyramid, some idle monument to technology, but more of a Rosetta stone, a key to unlocking dreams as yet undreamed.” Exploration is, in short, the lifeblood of humanity. Alan Stern is another man who understands the value of venturing beyond Earth. After all, he is a man who (quite literally) took humanity to new worlds. Here’s why we need to keep going. For over 70 years, Pluto was the 9th planet in our solar system. Then, in 2003, the International Astronomical Union decided to reclassify this tiny world as a dwarf planet. But the demotion didn’t make it any less interesting. 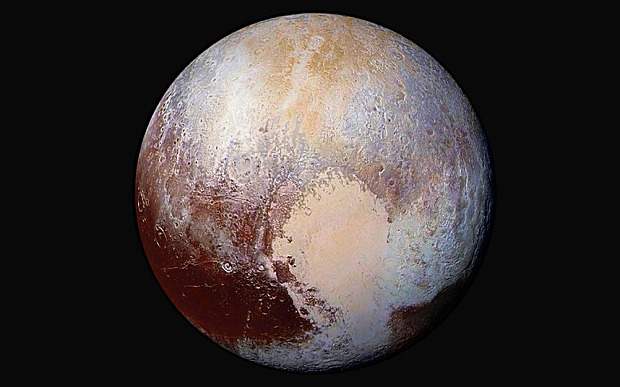 Ultimately, Pluto is a mountainous rocky globe that swings through the icy reaches of our outer solar system. It has floating hills of nitrogen, striking atmospheric layers, and an enormous and volatile tail. It lives some 5.8 billion km (3.6 billion miles) out in our solar system. For comparison, Earth is just 150 million km (92 million miles) from the solar surface—meaning that Pluto is a staggering 40 times farther from the center of the solar system than our own planet. 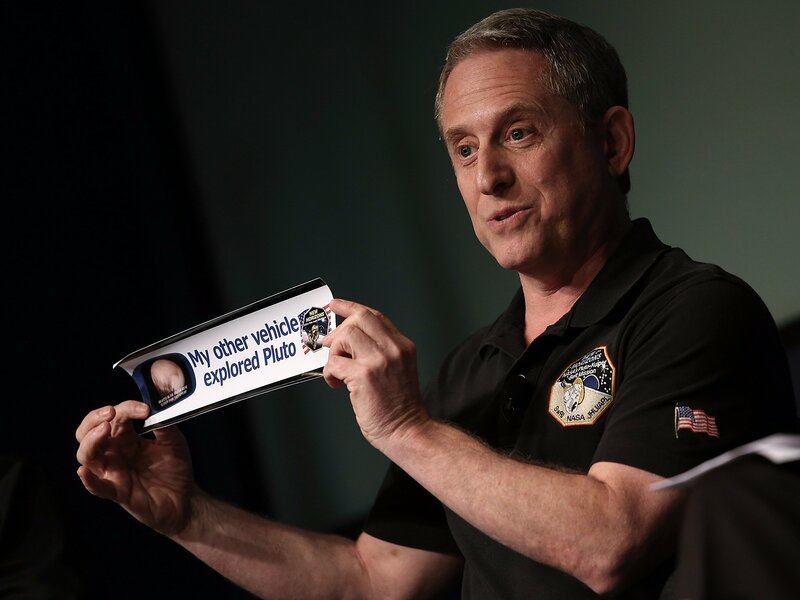 And we went there…largely because of Alan Stern. Stern is head of the New Horizons mission to Pluto, which had its historic flyby just a year ago (in the summer of 2015). Recently, I met with Stern at the 2016 Edison Awards. There, he highlighted the value of knowledge and of exploring the unknown—and he emphasized the monumental feats that we can accomplish when, as a society and as a world, we truly invest in these things. In short, the things that we invest in (whether that is sports, or war, or science) are a direct reflection of both the values that we hold and the society that we are currently building. We have traveled to Pluto, and we are well on our way to the Kuiper belt. We have even traveled into interstellar space. So, where do we go next? Of course, there is still a lot of space left to explore, but when I asked Stern the next great project that he’s most excited about, he didn’t mention a trip to Europa to search for alien life or the first off world colony—he spoke about humanity. And in the end, this is really what all science and discovery is about—making us better humans. This interview has been lightly edited for brevity and clarification.